Skype admitted to its recent complex design changes, and said that it realised the critical need to maintain simplicity and familiarity. To this effect, the company announced that it would roll back the Snapchat-like Highlights feature that was introduced last year. “This past year we explored some design changes and heard from customers that we overcomplicated some of our core scenarios. Calling became harder to execute and Highlights didn’t resonate with a majority of users,” the company said in its blog post. The company said that all the Highlights are downloadable till September 30, after which they will be deleted forever. The Skype update also brings a fresh navigation model that is simplified with less clutter. The Chats, Calls, and Contacts buttons are moved to the bottom of the mobile app for more efficiency, and the Highlights and Capture features are removed completely for a cleaner look. For the desktop variant, the buttons and the notifications icon have been moved the top left of the window. As mentioned, Skype has also made it easy to discover contacts in its new interface, and has reintroduced a simplified Skype “Classic” blue theme as well. It has also redesigned its light and dark themes with more toned down gradients and less decorative elements for a ‘more elegant interface. 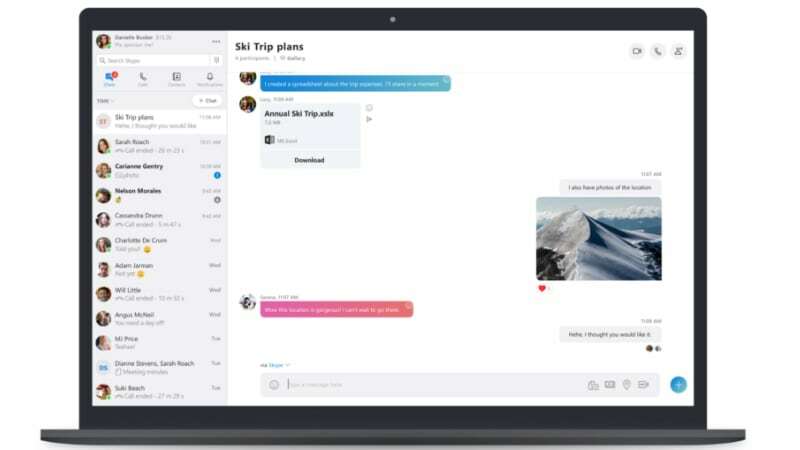 The new Skype design is available with the latest update to version 8.29 for Android, iOS, OS X, Linux, Windows 7, Windows 8, and Windows 8.1 operating systems.